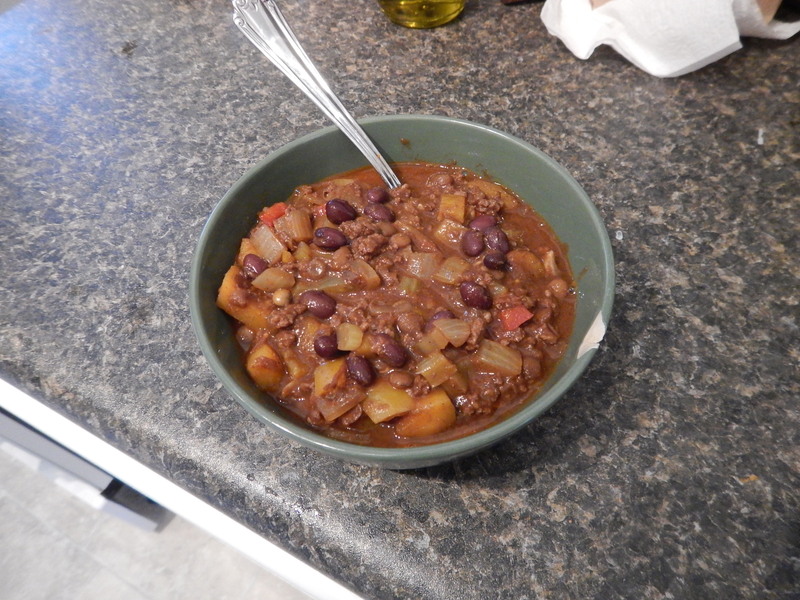 I know what your thinking: “Cocoa in chili? That’s a little too odd for me…” (Or maybe you’re thinking the opposite, which in this case is very good!) 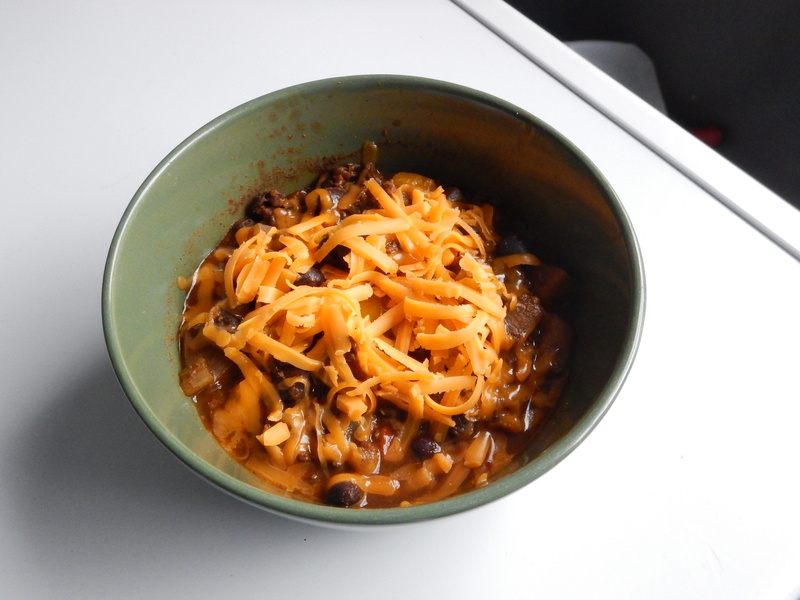 The cocoa give this chili a depth of richness that you’ve never tasted before. It’s kind of like a Mexican hot chocolate, where you get the rich cocoa flavour, while also tasting a lingering chili kick in the background. Incredible, I tell you! 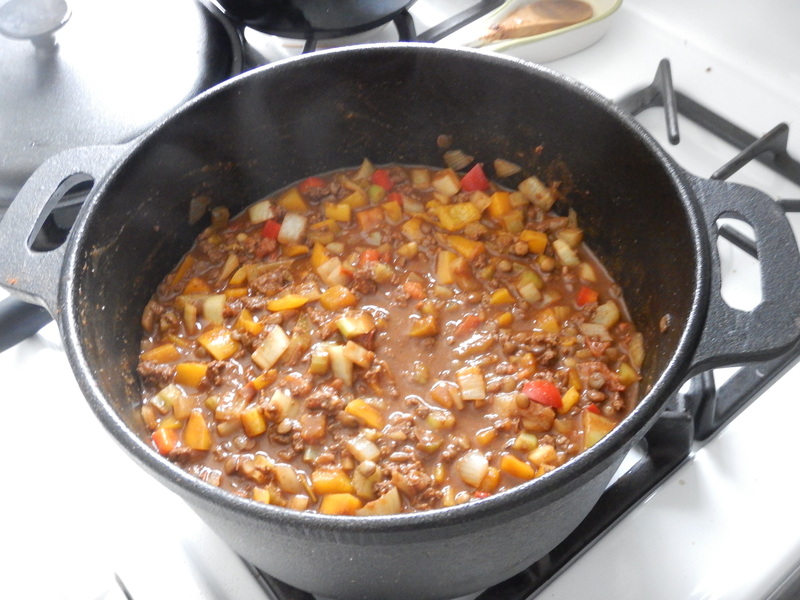 For this recipe, I decided to include a buttercup squash from our garden to add a bit of creaminess. I peeled and diced up the squash. 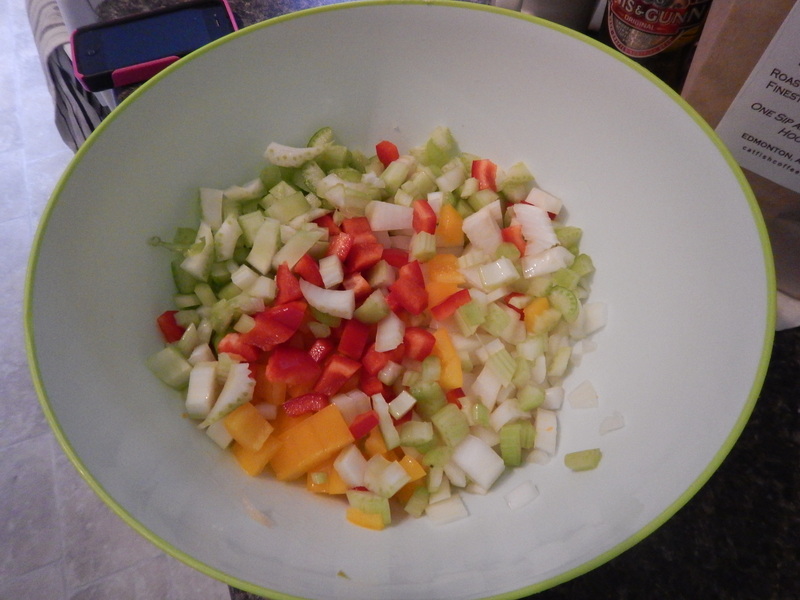 Then I chopped up all the veggies (onion, celery and peppers). 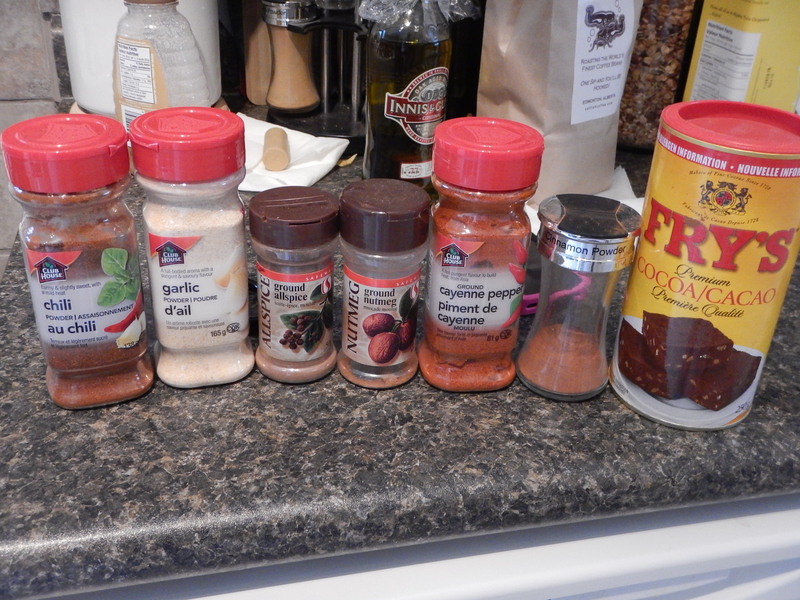 Here are all the spices I used: Chili powder, garlic, nutmeg, allspice, cayenne, cinnamon and unsweetened cocoa powder. The combination made my house smell outstanding!! In went the veggies and seasoning. And then I stirred it all up. 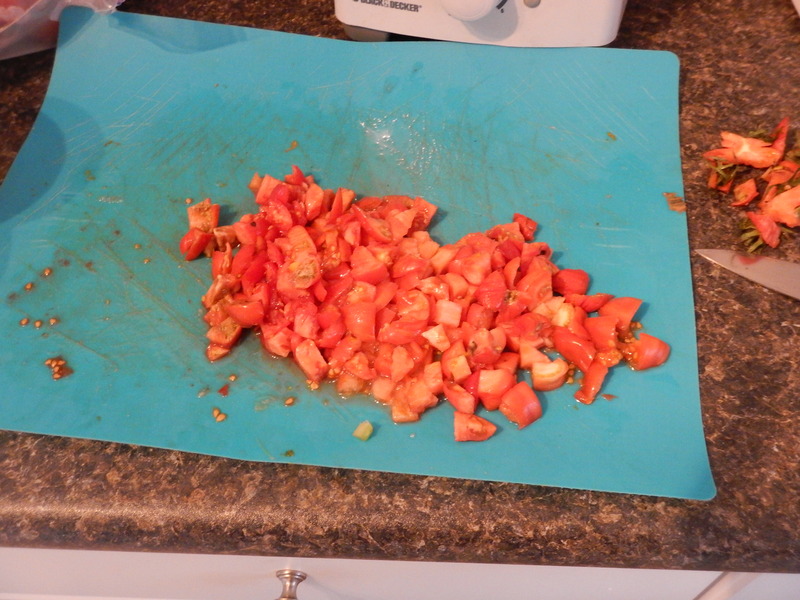 I diced up some fresh tomatoes from the garden. 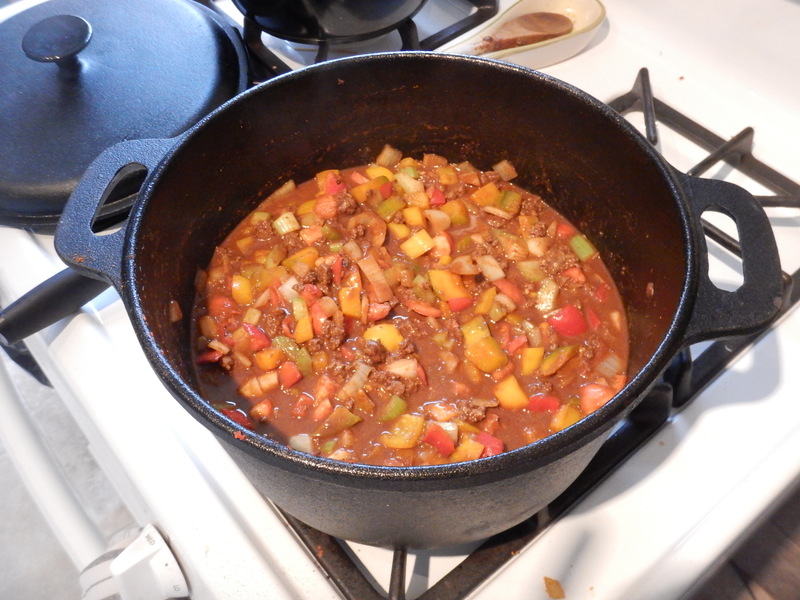 I added the tomatoes and some beef stock to the chili. 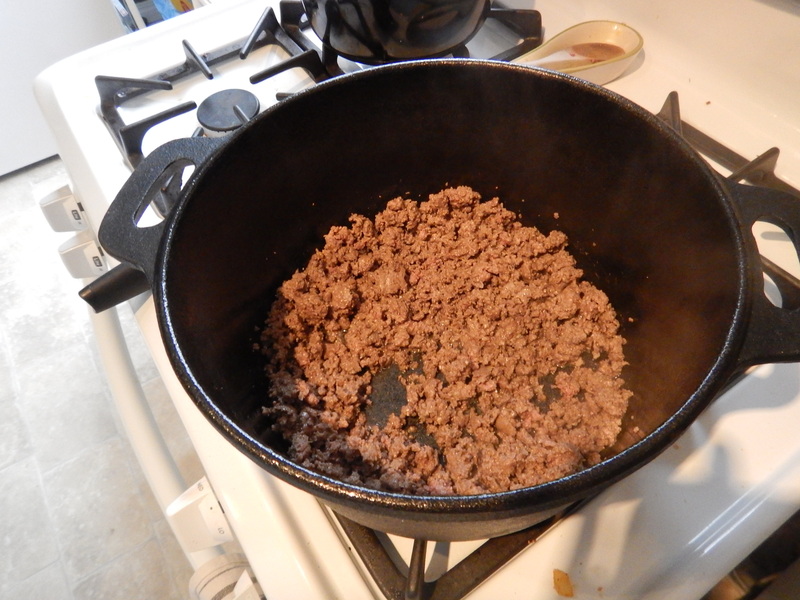 Then I let it simmer and bubble for an hour on the stove. You can serve it plain. Or you can top it with some aged cheddar for some extra decadence! 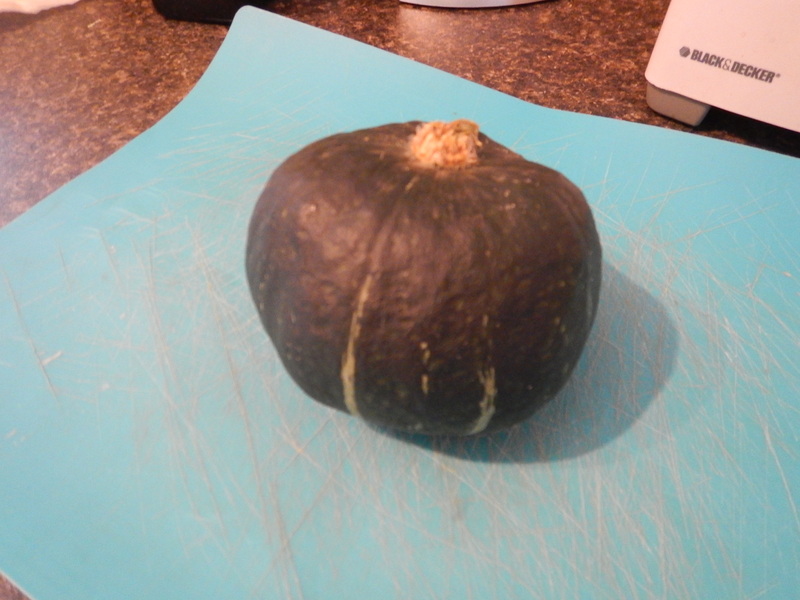 1 squash, peeled and cubed. 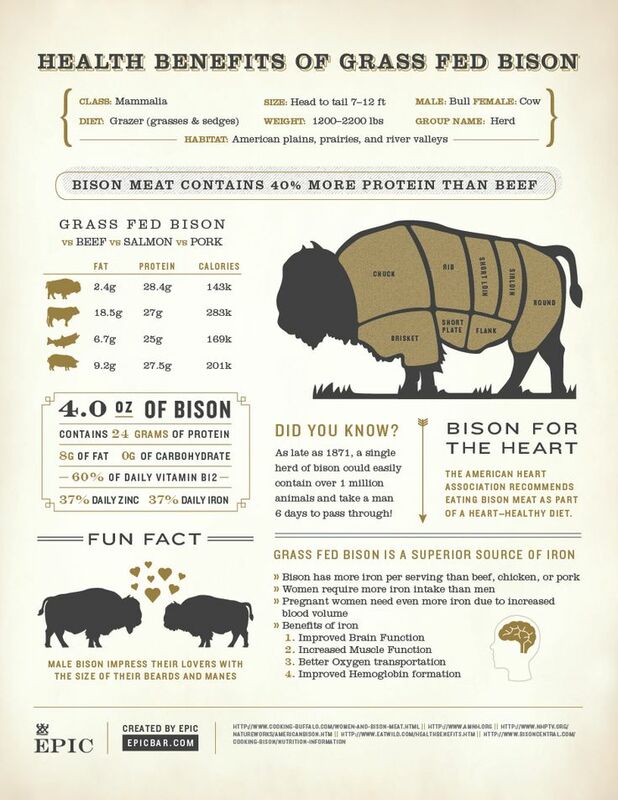 Begin by browning the Bison in a large cast-iron pot with a tsp veggie oil. 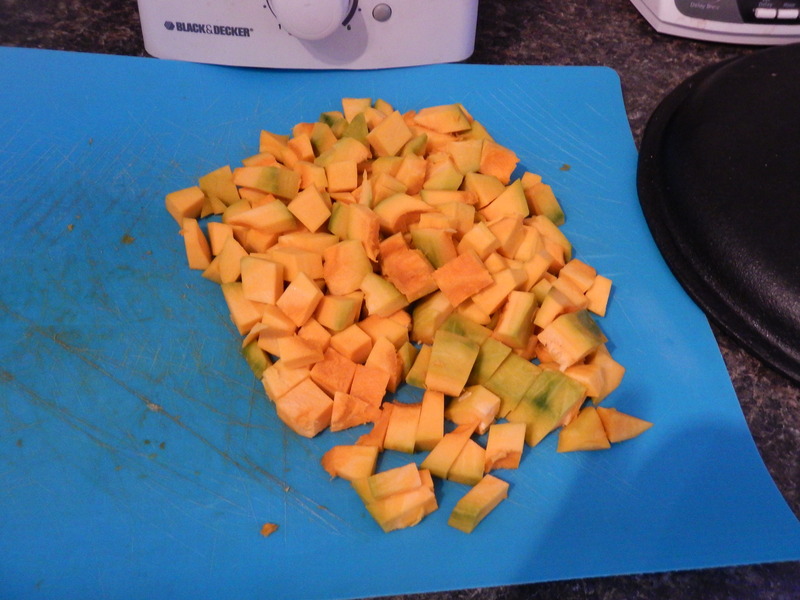 Peel and cut your squash then add to the pot. 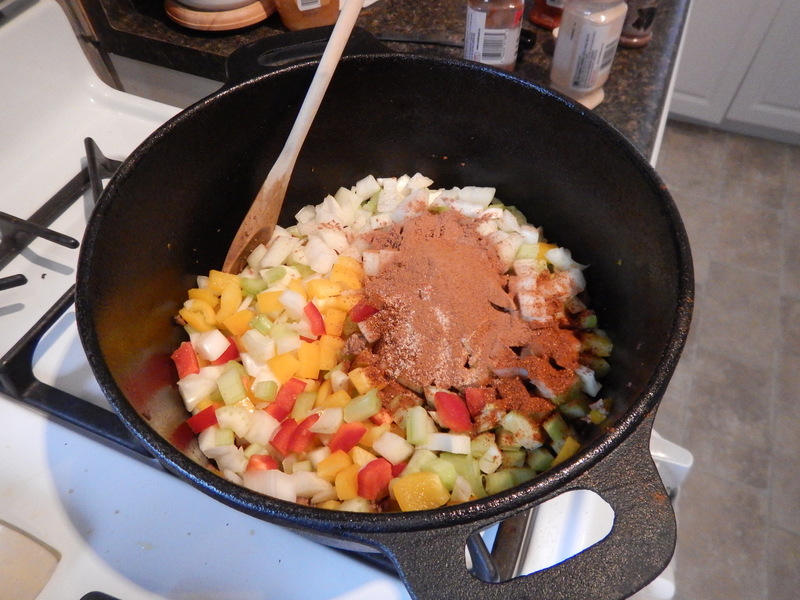 Chop up all your veggies, add to the pot, and then add your spices. Mix thoroughly. Add your tomatoes, beans and broth. 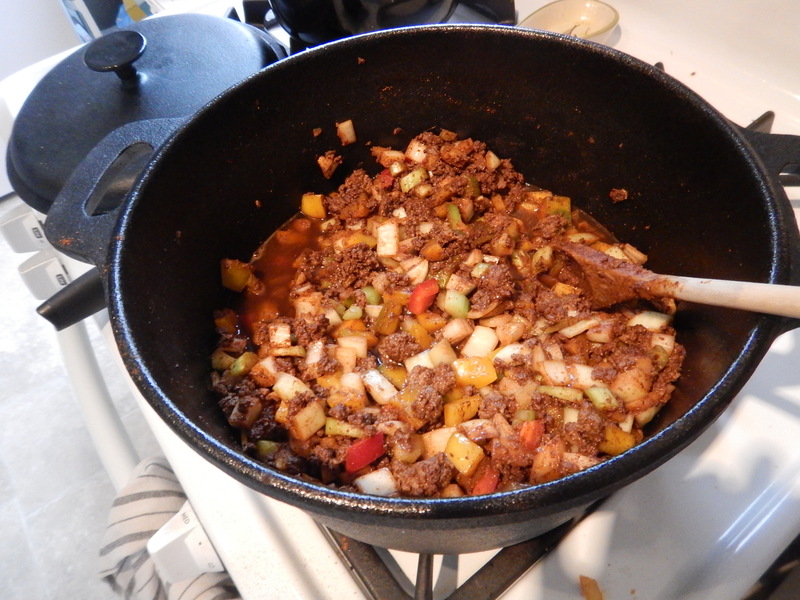 Simmer on low for at least an hour (the longer, the better!). Serve warm with aged cheddar cheese and sour cream, if desired. Enjoy on a crisp fall evening.